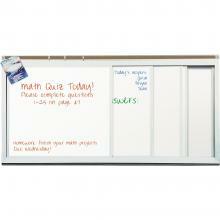 Four Dry Erase Boards in one! This sliding dry erase board is the perfect solution for teachers who use multiple whiteboards to teach and outline lessons. 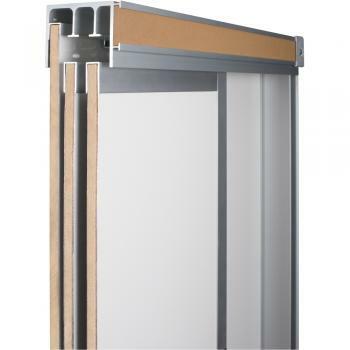 The four individual whiteboards are fixed on a sliding track, and the dry erase surface is constructed of Magnetic Porcelain Steel. The attached map rail and included accessory tray come standard on this sliding dry erase board. 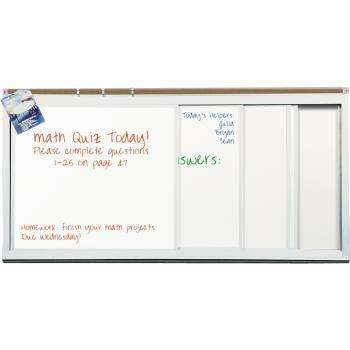 This board allows you to organize and separate your whiteboard lessons by class, subject, or any other way you see fit!